The greatest cardinal the Church never had. This assertion is frequently applied to Archbishop Emeritus Denis Hurley, who celebrates the 50th anniversary of his ordination as archbishop of Durban this week. It does seem a curious oversight that as greatly esteemed a Churchman as Archbishop Hurley has failed to receive the red hat. His uncompromising forthrightness may have served as a decisive factor in this. 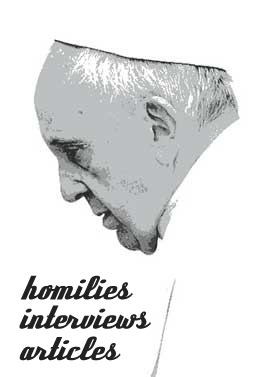 Often, he has worn his heart on his sleeve, most memorably when he expressed his feelings of disappointment over Pope Paul VI’s encyclical Humanae vitae. Archbishop Hurley’s contribution to the Church has been enormous. His involvement in Vatican II, from its planning stages to its conclusion, helped shape the character of the great Council. Even today, no complete study of Vatican II can afford to omit Archbishop Hurley’s insights. Beyond Vatican II, Archbishop Hurley has made his mark as a highly regarded liturgist, ecumenist and pastor, internationally as well as in the Southern African Church. In South Africa, he is regarded as one of the giants in the struggle against apartheid. He spoke out against the system when few white people would, and provided guidance where many couldn’t. His engagement was always prudent and in the service of our Lord. When South Africa’s other world-famous archbishop, Desmond Tutu, retired as head of the Anglican archdiocese of Cape Town, he singled out Archbishop Hurley as a hero of the struggle against apartheid. The Southern Cross has had a long association with Archbishop Hurley. Growing up in the 1920s, young Denis was a member of Mgr Frederick Kolbe’s legendary Children’s Corner, going by the nickname of Robin. Later, Archbishop Hurley acted as the newspaper’s unnamed correspondent at Vatican II: few Catholic periodicals could have had a better placed reporter than The Southern Cross. And as recently as this year Archbishop Hurley wrote a well-received series of articles on Vatican II for this newspaper. Archbishop Hurley may well be the greatest cardinal the Church never had. Nevertheless, when the definitive history of the Catholic Church in the 20th century will be written, his name will stand alongside those of the greatest of cardinals. His stature transcends such ephemeral matter as rank and title. Here is a servant of God who has made his indelible mark on his Church and his country.